Lansing bicycle accident attorney Bryan Waldman was a guest on the Sept. 1, 2017 “Morning Edition” program on Michigan Radio, where he discussed the ongoing efforts to improve Michigan bicycle laws. The program’s host, Doug Tribou, began the discussion of Michigan bicycle laws by pointing to the recent Portage bike crash, where the driver of a pickup truck hit and killed a bicyclist from behind. He also referenced the August 2016 bike crash involving triathlete Karen McKeachie, who was struck and killed by a motorist while cycling on a rural road near Ann Arbor. That motorist was sentenced to probation and a fine of $3,000. 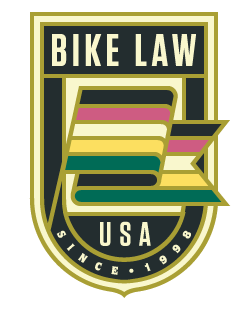 Bryan, a member of Bike Law, focuses a large part of his practice on representing persons injured in Michigan bicycle accidents. During the radio program, he explained that the punishment for bicyclist deaths in Michigan often does not fit the crime. According to Bryan, the sentences being handed down by the courts are too lenient. “Michigan motorists are killing bicyclists with no accountability for their actions,” he says. That’s why Bryan and others in the cycling community — including the League of Michigan Bicyclists — have asked the state Legislature to change the Michigan bike laws, including the sentencing options for motorists who injure or kill cyclists. One reason for this legislative initiative is that the number of bicyclists injured or killed on Michigan roadways continues to rise. In fact, Michigan bicyclist deaths increased 15% in 2016, according to the Michigan Office of Highway Safety Planning. Why are courts imposing less-than-harsh sentences on motorists who kill or injure bicyclists in Michigan? Bryan pointed to the Legislature’s 2009 decision to eliminate the crime of “vehicular homicide.” That now-defunct crime carried stiffer penalties than the current charges of “moving violation causing death” and “moving violation causing serious injury,” both of which are misdemeanors. As a result, Bryan said he often sees no charges filed at all against motorists who kill or injure Michigan bicyclists. If drivers are charged, Bryan said it’s a “moving violation” misdemeanor offense, with a fine and no jail time. Bryan explained that the League of Michigan Bicyclists, of which Bryan is a board member, and the cycling community are seeking enhanced penalties for motorists who hit and kill bicyclists, similar to those in place for drivers who harm other vulnerable roadway users, like road construction workers. Click here to listen to Bryan’s entire “Morning Edition” interview about Michigan bicycle laws.